Dr Joanne Connell joined the University of Exeter Business School in 2011. Her previous posts include Senior Lecturer in Tourism in the Department of Marketing at the University of Stirling, and Lecturer in Tourism at the University of Plymouth. Her qualifications include a BSc (Hons) in Rural Resource Management and an MA in Tourism and Social Responsibility (Exeter). She was awarded a PhD in 2002 by the Department of Geographical Sciences, University of Plymouth for her research on gardens as a tourism and recreational resource, and in particular the implications for managing gardens as visitor attractions. Dr Connell has extensive experience in tourism research, education, publishing and knowledge transfer. 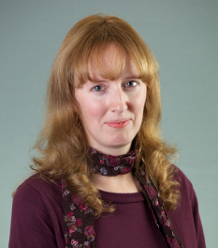 Notably, Dr Connell is the author of a range of acclaimed books and edited collections, notably the major international text book Tourism: A Modern Synthesis of which she is currently working on a 4th edition, and most recently, The Handbook of Events (both with Stephen Page). She has co-edited a series of high level research works for both Routledge and Sage that provide a valuable synthesis and roadmap for how sub-disciplines in Tourism (Event Tourism, Sustainable Tourism and the wider generic area of Leisure) have evolved. Many of the research and consultancy projects in which Dr Connell has been involved demonstrate both social and economic impact through the leveraging of policy advice to organisations seeking to address strategic issues. She has led and worked as part of small project teams with a number of external bodies in a knowledge transfer capacity: recent examples include VisitScotland, New Zealand Ministry of Economic Development and Stirling Council. Having advised and worked extensively with Loch Lomond and the Trossachs National Park Authority (Scotland’s first National Park Authority) during a secondment, she experienced first-hand how academic approaches contribute to the development of methodologies to solve complex research problems in innovative and robust ways, in addition to contributing to National Park sustainable planning processes. Other projects she has worked on include event impact evaluations, tourism business surveys, visitor surveys and organisational secondary data analysis to improve business performance. Dr Connell’s research interests focus around niche forms of tourism activity, such as film-induced tourism and tourism attractions, as well as what might be considered to be core tourism interests including sustainable tourism, transport and resource management issues. This is an area of research that investigates tourism activity primarily stimulated by viewing real-life locations in fictional settings through film or television programmes. The impact of film-induced tourism has been witnessed in many locations world-wide (for example the tourist-generating phenomena created by films like Lord of the Rings, Harry Potter and Braveheart) and a growing body of research seeks to measure and evaluate its effects. Dr Connell is recognised as a leading contributor to this research theme through her work on the implications of the children’s TV programme Balamory (BBC) for the filming location, a small town on the Isle of Mull on Scotland’s west coast. The impacts of film tourism are significant in terms of the development, management and marketing of tourism spaces, while recognising the need to balance the visitor expectation and experience with community perceptions and interests. Despite being one of the major influences on tourism decision-making, the way in which children experience tourism is little understood. Dr Connell is interested in the idea of ‘toddler tourism’ and the experiences of young children on holiday. Part of this interest stems from her work on Balamory and film tourism, and in particular looking at the differences in visit experiences between children and their parents/carers. Sustainable tourism is now a well–established perspective within tourism management, although its translation from ideology to policy to application is still fraught with difficulties for practitioners and academics alike. Dr Connell is interested in how this process operates and the challenges that face tourism regions and destinations in striving towards the goals of sustainable development. Her work on tourist transport and itinerary mapping identified the dominance of the private car in experiencing a National Park, which remains an issue for those seeking to promote more sustainable forms of travel. The ever-increasing number and scale of events and festivals indicates a growing interest in, at one end of the spectrum, bidding for and staging mega events, through to the development of small-scale community-style festivals. Dr Connell’s current research focuses on the interplay between events and visitor attractions, and how events can be employed as a mechanism to boost visitor awareness, numbers and expenditure, and to create new markets. She is currently engaged on a project investigating this relationship in Scottish visitor attractions. Currently Dr Connell is working on a study of seasonality in Scottish visitor attractions, in conjunction with the Association of Scottish Visitor Attractions. A particular focus of this investigation is the role and significance of special events held at attractions in the off-peak season (October to March). In addition, she is working with colleagues at Massey University, New Zealand, on a longitudinal study of local government tourism planning under the Resource Management Act, and the way in which sustainable development principles are embedded within the local planning and development control framework. She is currently supervising a number of PhD students in the field of Tourism, with a subject focus on event tourism, film tourism and tourism activity in Scotland. Connell JJ, Page SJ, Sherriff I, Hibbert J (In Press). Business Engagement in a Civil Society: Transitioning Towards a Dementia-Friendly Visitor Economy. Tourism Management Full text. Connell JJ, Page SJ (In Press). Destination readiness for dementia-friendly visitor experiences: a scoping study. Tourism Management Full text. Connell J, Page SJ (2019). Case study: Destination readiness for dementia-friendly visitor experiences: a scoping study. Tourism Management, 70, 29-41. © 2018 Elsevier Ltd Ageing and dementia are major societal challenges affecting many countries, with around 46.8 million people worldwide estimated to be living with dementia. These estimates suggest that the worldwide population of people living with dementia will double every 20 years to reach 131.5 million by 2050. Recognition that dementia is a significant challenge for the travel and tourism sector is starting to develop. This paper contributes to this emerging agenda on ageing and dementia focusing on the accessibility needs of this group through a two-stage research study that demonstrates the practical needs and leadership challenges this poses for the tourism sector. Using the UK as an exemplar of dementia-readiness, the study examines Destination Management Organisation (DMO) website provision of advice for people with dementia and their carers. It then reports the findings of a survey DMO managers attitudes towards creating dementia-friendly destinations. Connell J, Page SJ, Meyer D (2015). Visitor attractions and events: Responding to seasonality. Tourism Management, 46, 283-298. Seasonality is a protracted problem for the tourism sector due to the uneven nature of demand and the relatively fixed nature of the supply of capacity and resources, particularly in the attraction sector. Managing the demand and supply at an individual business level poses many challenges for attraction infrastructure that is fixed in time and space and has a finite capacity. This paper explores how attraction managers develop and use special events as a tool to address issues of seasonality at a country level. The results show that: 70% of businesses remained open throughout the year, albeit with reduced opening hours to attract more visitors; 39% of attractions that stay open host special events; the local community is a key source market for special events; the periodicity of events and themes engage visitors most effectively. Business responses to seasonality are a more complex issue than conventional tourism research has recognised. © 2014 Elsevier Ltd. Page S, Connell J (2014). Tourism: a Modern Synthesis. London, Cengage Learning. (2012). The Handbook of Events Management. London, Routledge. (2011). The Routledge Handbook of Events., Routledge. Page S, Connell J (2010). Leisure: an Introduction. Harlow, Ft Pr. (2009). Event Tourism: Critical Concepts in Tourism. London, Routledge. (2008). Sustainable Tourism. London, Routledge. (2007). Leisure Studies. London, Routledge. (1997). On Tourism (Special Issue of Performance Research vol 2 no 2)., Taylor and Francis (Routledge). Connell JJ (2015). Garden Tourism. Tourism Management, 50, 71-72. Full text. Connell J (2013). Children's and Families' Holiday Experiences. Tourism Management, 39, 21-22. DOI. Connell JJ (2012). Film Tourism: Evolution, Progress and Prospects. Tourism Management, 33(5), 1007-1029. Full text. DOI. Connell J (2012). Film tourism - Evolution, progress and prospects. Tourism Management, 33(5), 1007-1029. Film tourism has emerged as a major growth sector for research in tourism and it is widely recognised as a driver of tourism development for many destinations. To date, there has been a relatively substantial literature on the subject, little of which has sought to synthesise and engage with the wider social science paradigm of culture, film and media research. The aim of this Progress Review is to critically evaluate film tourism as a subject of cross-disciplinary academic study, highlighting the major research themes, issues and contributing conceptual frameworks, critiquing existing and developing perspectives and addressing critical gaps in knowledge. This review is particularly timely as the literature on film tourism has not been synthesised from a cross-disciplinary perspective. Accordingly, this paper seeks to provide a road map of the exponential growth in social science literature associated with the cognate areas that study, or contribute to, film tourism. © 2012 Elsevier Ltd. Page SJ, Yeoman I, Connell JJ, Greenwood C (2010). Scenario planning as a tool to understand uncertainty in tourism: the example of transport and tourism in Scotland in 2025. Current Issues in Tourism, 13(2), 99-137. Connell JJ, Meyer D (2009). Balamory revisited: an evaluation of the screen tourism destination-tourist nexus. Tourism Management, 30(2), 194-207. Full text. Brewster M, Connell JJ, Page SJ (2009). The Scottish Highland Games: Evolution, development and role as a community event. Current Issues in Tourism, 12(3), 271-283. Connell JJ, Page SJ, Bentley T (2009). Towards sustainable tourism planning in New Zealand: monitoring local governmnet planning under the Resource Management Act. Tourism Management, 30(6), 867-877. Connell JJ, Page SJ (2008). Exploring the spatial patterns of car-based tourist travel in Loch Lomond and Trossachs National Park, Scotland. Tourism Management, 29(3), 561-580. Connell J (2007). Tourism in parks: Australian initatives, international centre for ecotourism research. Tourism Management, 28(1), 328-329. DOI. Page S, Yeoman I, Munro C, Connell J, Walker L (2006). A case study of best practice - Visit Scotland's prepared response to an influenza pandemic. Tourism Management, 27(3), 361-393. In October 2005, a media frenzy began to develop globally with the spread of Avian Influenza (hereafter Avian Flu) from South East Asia to Northern Europe. The media interest was largely a result of the impact on chickens as a food source and also the potential of Avian Flu to mutate and trigger a global flu pandemic. Interestingly throughout virtually all of the media frenzy, the most obvious impact on tourism has been overlooked or only mentioned in passing. At the same time, Visit Scotland, the Scottish National Tourism Organisation has undertaken a scenario planning exercise to plan for such an eventuality. This paper draws upon some of the research undertaken as part of that scenario planning exercise to illustrate how it represents a case study of best practice, both in planning for a flu pandemic and also in terms of sharing this knowledge with NTOs and tourism organisations globally via the World Tourism Organisation and other communication channels. Two important messages emerge from this study: that the tourism industry does not need to panic and that media messages need to be scrutinised carefully, and appropriate response strategies prepared so that the destination's prepare for any outbreak without adversely damaging their image as a place to visit. © 2006 Elsevier Ltd. All rights reserved. Page SJ, Yeoman I, Connell JJ, Munro C, Walker L (2006). An influenza pandemic – what it could mean for Scottish Tourism. Quarterly Economic Commentary, 30(4), 47-54. Page SJ, Steele W, Connell JJ (2006). Analysing the promotion of adventure tourism in Scotland. Journal of Sport and Tourism, 11(1), 51-76. Connell JJ, Page SJ (2005). Evaluating the economic and spatial effects of an event: the case of the World Medical and Health Games. Tourism Geographies, 7(1), 63-85. Connell J (2005). Managing gardens for visitors in Great Britain: a story of continuity and change. Tourism Management, 26(2), 185-201. Garden visiting is a popular activity in Great Britain. This paper identifies the historical antecedents and accompanying development of garden visiting as a form of tourism and recreation, focusing on the management of gardens open to the public in both time and space. Such an approach reveals that many gardens have been established for some considerable time and visiting is by no means a new pastime. The paper reports on a survey of garden owners in Great Britain and uses historical reconstructions to assess the theme of continuity and change in garden management and visiting through time. © 2003 Elsevier Ltd. All rights reserved. Connell J (2005). Toddlers, tourism and Tobermory: Destination marketing issues and television-induced tourism. Tourism Management, 26(5), 763-776. It has been witnessed on an international scale that destination-specific film and television has the power to increase tourism demand. For destination marketers, the projected image and the profile of visitors attracted form significant areas of concern. Nowhere has this been more marked than on the Isle of Mull, Scotland, where in 2003, a new phenomenon termed 'toddler tourism' was sparked by the popularity of a new pre-school children's television programme called Balamory, which is filmed on the Island. This paper reports on a survey of tourism business operators on Mull and provides evidence of the nature and scope of the impact of television-induced tourism on tourism business performance and activity, indicating that the effects were concentrated spatially and temporally. Marketing implications are explored using business operators perceptions of the effects of marketing on tourism patterns and broad areas of concern for the future development of tourism as a result of television programmes are highlighted. © 2004 Elsevier Ltd. All rights reserved. Connell J (2005). ‘What’s the Story in Balamory?’: the impacts of a children’s TV programme on small tourism enterprises on the Isle of Mull, Scotland. Journal of Sustainable Tourism, 13(3), 228-255. Film- and television-induced tourism effects have been witnessed in a number of locations world-wide, creating a range of positive and negative impacts for host communities and environments. The children’s television programme Balamory, filmed on the Isle of Mull, Scotland, has created a new tourism phenomenon for the island, leading to concern that Mull’s reputation as a green destination for the discerning might be displaced by a less desirable form of tourism. Through a questionnaire survey of tourism businesses on Mull, this paper explores the perceptions of television-induced tourism and the effect of Balamory on business activity during the 2003 season, exploring customer numbers, spending, turnover and profitability, along with attitudes to the new visitors. The research also explores the implications for sustainable tourism development, particularly recognising the limited life-span of film- and television-induced tourism and issues relating to displacement of traditional markets, with an emphasis on sustaining tourism as a means of generating revenue to support a rural island community. © 2005, Taylor & Francis Group, LLC. All rights reserved. Connell J, Meyer D (2004). Modelling the visitor experience in the gardens of Great Britain. Current Issues in Tourism, 7(3), 183-216. Ensuring satisfactory visitor experiences forms a crucial role in determining the long-term viability and success of visitor attractions. However, identifying and managing the common features that unite visitors in enjoyment and appreciation of attractions, poses significant challenges for managers. While there is a growing literature on managing the visitor experience in attractions, methodological approaches to assessing visitor experiences are still at an early stage of development. This paper explores the nature and scope of the visitor experience within the context of gardens in Great Britain, drawing on the results of surveys of garden visitors and garden owners/managers. Comparisons of the perceptions of the importance of various elements of the visitor experience are made using structural equation modelling in order to identify differences between garden visitors (n = 593) and garden owners/managers (n = 546). The results indicate that there is reasonable consensus between the two groups, although implications for the future development of the garden visit experience exist for individual sites and the development of the garden attraction market. © 2004 J. Connell and D. Meyer. Connell J (2004). The purest of human pleasures: the characteristics and motivations of garden visitors in Great Britain. Tourism Management, 25(2), 229-247. DOI. Connell JJ, Grainger S (2002). Attitudes to corporate fitness: a case study of firms in Jersey. Managing Leisure: an International Journal, 7(3), 176-193. Connell J (2002). Environmental management for rural tourism and recreation. Tourism Management, 23(4), 422-424. DOI. Connell J, Grainger S (2002). Exploring attitudes to corporate fitness in Jersey: Employer and employee perspectives. Managing Leisure, 7(3), 176-193. Corporate fitness or fitness promotion in the workplace, while well established in the United States and other industrialized countries, has been slow to develop in the United Kingdom. Health and business promotion organizations recognize the benefits of fitness initiatives in the workplace and throughout the 1990s have advocated the opportunities available to employers. This paper reports the results of an exploratory investigation using sample companies in Jersey to assess attitudes towards corporate fitness schemes. Empirical work focusing on both the company perspective and the employee view has been carried out and a positive reaction to corporate fitness was the predominant finding. © 2002 Taylor & Francis Ltd.
Connell JJ (2001). Managing Leisure. Tourism Management, 22(6), 670-672. Connell J (2000). The role of tourism in the socially responsible University. Current Issues in Tourism, 3(1), 1-19. In the light of reduced state funding of universities over the past 20 years in the UK, it has been necessary for institutions to consider alternative methods of income generation. One of the consequences of this has been the widespread development of campus-based tourism. Over a similar time period, much attention has been focused on the arguments to apply a more socially responsible framework to tourism policy and practice. This article aims to assess the linkages between tourism provision at universities and the concept of social responsibility. With reference to a qualitative research project in one institution, several emergent themes have been extrapolated in order to enable some consideration of the philosophical underpinnings of this type of tourism. Connell J, Reynolds P (1999). The implications of technological developments on Tourist Information Centres. Tourism Management, 20(4), 501-509. Technological developments are increasingly touching and changing the nature of and processes in industry and society. Tourism is by no means exempt from these changes. The aim of the research reported in this article is to address the issue of the implications of technological development in Tourist Information Centres (TICs). The main areas of concern are a combination of social and technical issues which need to be addressed in order for TICs to keep up with the demands of the consumer. In addition, a shift to a sales and service led operation would appear to be a necessary course of action. Recommendations are made to assist in tackling these problems at an operational level and it is recognised that greater attention must be focused on this area in order to ensure the future effectiveness of the tourist information service. Connell J (1996). A study of tourism on university campus sites. Tourism Management, 17(7), 541-544. DOI. Connell JJ, Page SJ (2014). Chapter 8: Visitor Attractions. In Page SJ (Ed) Tourism Management, Routledge, 272-303. Page, SJ, Connell JJ (2014). Transportation and Tourism. In Lew AA, Hall CM, Williams AM (Eds.) The Wiley Blackwell Companion to Tourism, Wiley Blackwell. Connell JJ, Page SJ (2011). Visitor Attractions. In Page SJ (Ed) Tourism Management: an Introduction, Butterworth-Heinemann, 341-376. Connell JJ, Page SJ (2009). Visitor Attractions. In Page SJ (Ed) Tourism Management: Managing for Change, Harlow: Pearson, 341-376. Connell JJ, Page S, Sherriff I (2017). Making the UK Visitor Economy more Dementia-Friendly: Lessons from the visitor attraction sector. Summary Report. , University of Exeter Business School. 14 pages. Klug K, Page S, Connell JJ, Robson D, Bould E (2017). Rethinking Heritage: a guide to making your site more dementia-friendly. Alzheimers' Society and Historic Royal Palaces, London, Historic Royal Palaces. 59 pages. Developing innovative and student-centred teaching and learning mechanisms is a particular aspect of Dr Connell’s teaching, and she strives to supplement in-class work with live case studies, inputs from external agencies and field visits. Her ethos is to adopt an applied approach to Tourism teaching, allowing students to develop appreciation, knowledge and insights of real-world issues and applications, alongside more conceptual and theoretical debates. Transferring research into teaching is a central facet of her approach to engaging students in their studies. Dr Connell is a Fellow of the Higher Education Academy.